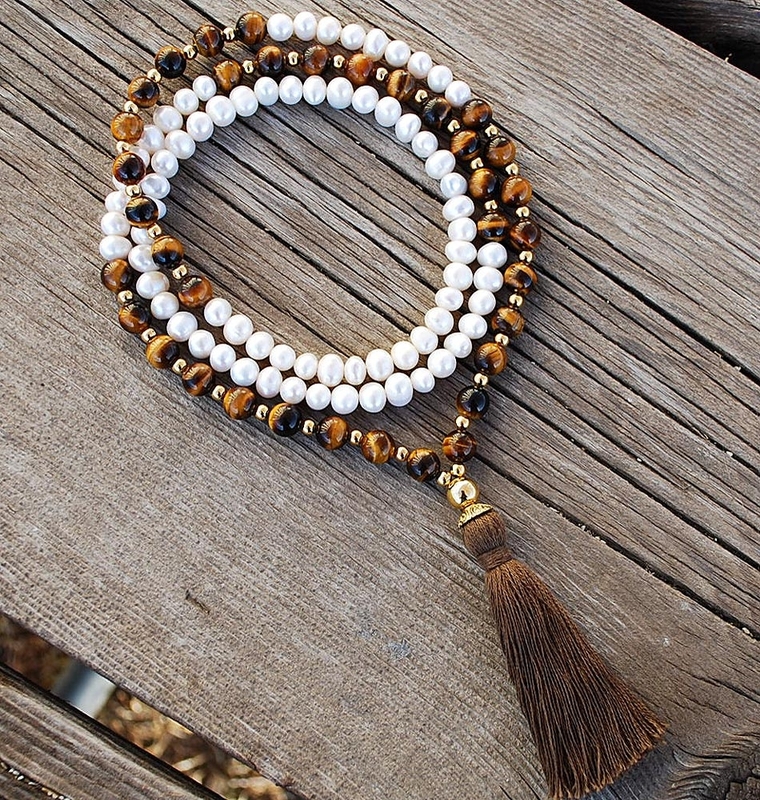 7-8mm, imperfectly round genuine “potato shape” Freshwater Pearl beads, with 8mm Tiger’s Eye and golden markers, finished with a golden guru bead, and natural cotton tassel. 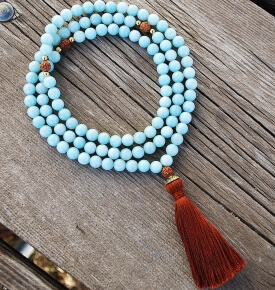 Beautiful mala, but I was so disappointed to see that it was just placed in an envelope without any secure wrapping. 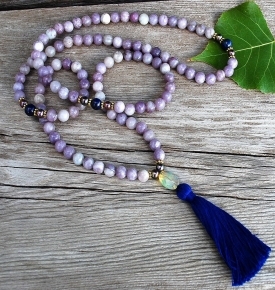 I have bought a Lapis lazuli mala from you before and it came with much more care, in a nice box. 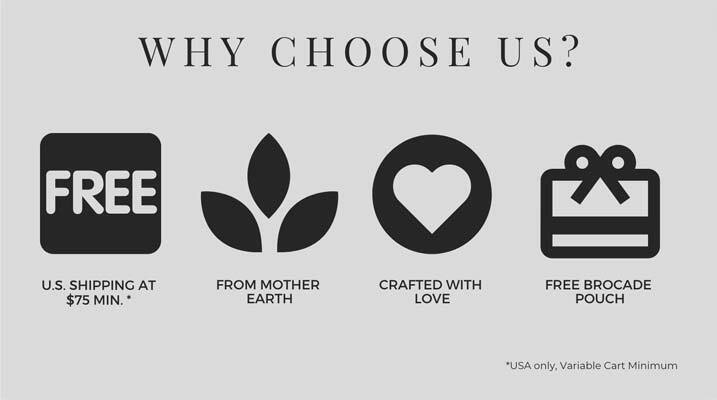 The pouches are nice but not durable for a lifetime and for consecration at a temple and for putting on a bedside table. 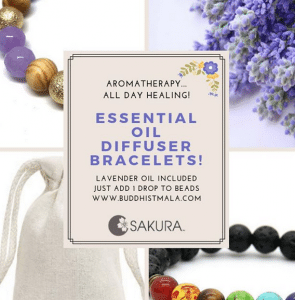 Best and thanks for the beautiful product. 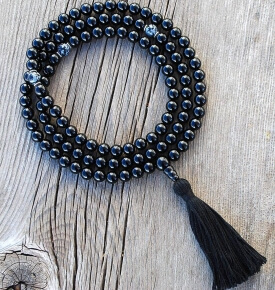 Hi, Jenny, we carefully place each mala in a bag, then add the free soft brocade pouch, a free manual and then another bag, shipped in a hard cardboard envelope and all arrive well worldwide- if you’d like extra packaging, we do as you mentioned, offer gift boxes! 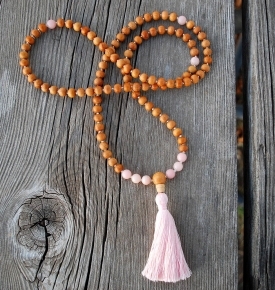 Beautiful mala of very high quality! !